Endorsed by the legendary Ben Severson, the Ben Board was highly anticipated and hailed as one of the best high performance boards of the era. 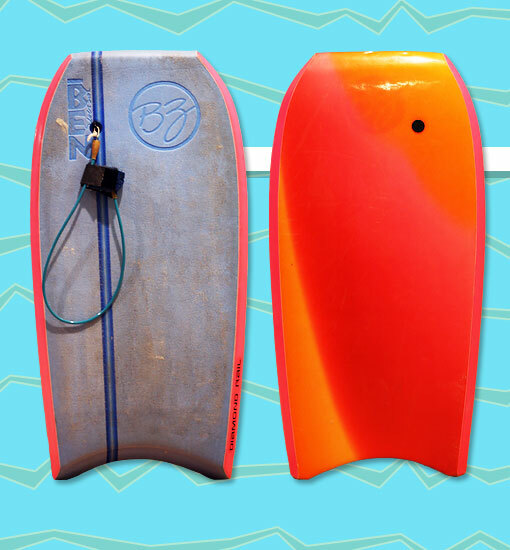 Featuring an Arcel core, a killer template, and slick rails and chines, it was the flagship of the BZ lineup. First generation Ben Boards were made without channels, and only the first 999 Ben Boards were stamped with a 3-digit serial number. This board was generously donated by John Miles of Washington State, USA. Thanks, John!! !